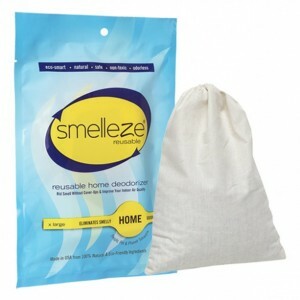 SMELLEZE Natural Animal Waste Smell Deodorizer Granules: 25 lb. Bag Summary Remove feces odor, manure odor & farm pollution without harmful chemicals using Smelleze® Eco Animal Waste Odor Removal Granules. Chicken odor, kennel odor, pig odor, cattle odor & other farm odor doesn't stand a chance. Safe for people, pets & planet. Provides eco-friendly farm odor control that really works! Features & Benefits • Simply sprinkle and smell the difference • Eliminates odors instead of covering them up • Controls nutrient retentivity & viscosity of manure • Prevents pollution of rivers & streams • Eco-friendly, safe, non-toxic, recyclable, odorless • Made in USA Control Animal Waste Odor & Pollution Problems About one billion metric tons of solid waste and approximately 400,000,000 tons of liquid wastes are produced by livestock in the U.S.A. annually. This enormous quantity of animal waste that is generated poses a serious health threat as well as an environmental problem. The stench produced by animal waste is discomforting to both the farm workers and animals. Over time, the odors could increase in concentration and result in serious air pollution problems. Noxious ammonia and hydrogen sulfide gases emitted from animal waste could cause damage to the respiratory tract, depress airway defense mechanisms and result in smaller and less healthy animals. Furthermore, animal waste could seriously pollute nearby streams and rivers with nitrogen, heavy metals, etc. from runoff and result in fines from the Environmental Protection Agency. Smelleze® Poop Smell Removal Granules were specially developed to eliminate unpleasant odors from animal excrement. Smelleze® Odor Removal Granules odor removers will reduce malodor, prevent pollution, create a healthier environment for livestock, eliminator the nutrient retentivity and viscosity of manure, reduce maggot populations, and can even be used for the purification of methane gas. It will truly cleanse the air of noxious odors, complement existing ventilation systems and decrease energy requirements for ventilation. For a breathe of fresh air, simply mix Smelleze® Poop Smell Remover Granules smell remover granules at a rate of 10 to 25% by volume or weight with manure. This amount may be reduced or increased according to ammonium levels in green manure. There is no upper limit to the amount of Smelleze® Poop Smell Neutralizer Granules that can be used. 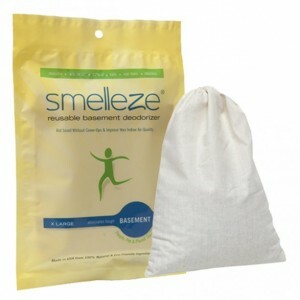 Smelleze® Odor Neutralizer Granules smell remover itself is an excellent soil amendment and will increase the value of your resulting compost. Smelleze® Poop Smell Eliminator Granules are non-toxic, safe, recyclable, natural, odorless, non-flammable and non-caustic. 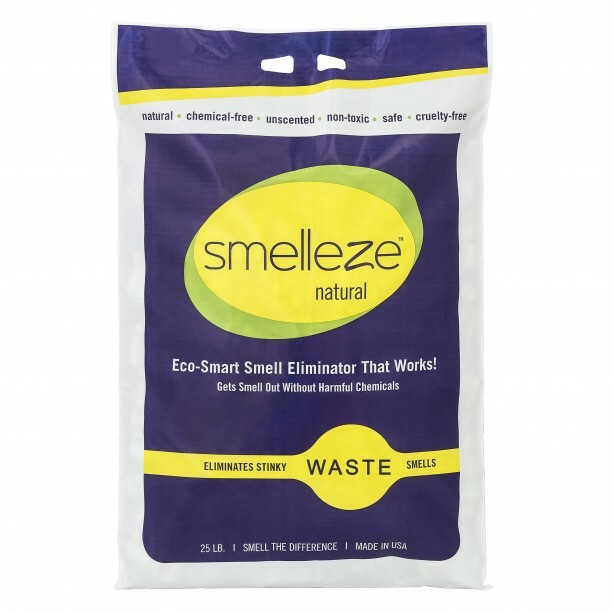 Smelleze® Poop Odor Remover Granules is an ideal environmentally friendly solution for eliminating a wide variety of animal waste odors without adding pollutants to the air you breathe. It does not contain VOCs, harmful or ozone depleting chemicals and is especially beneficial for those suffering from allergies and chemical sensitivity. No fossil fuels are used in the production of Smelleze® odor eliminator deodorizer media.